Two small condominium blocks went on the collective sale market yesterday, adding to the growing list of sites looking for buyers. The modest sizes of the developments also mean relatively small price tags. Owners at the 12-unit Jansen Mansion near Kovan MRT station want $22 million, while Blossom Mansions, which has 20 homes in Lorong 37 Geylang, has a target of $32.8 million. Marketing agent Huttons Asia noted the small sizes make the sites suitable for boutique developers. All owners at Jansen Mansion have given their consent to sell. The 1,541.5 sq m plot has 857 years left on its 999-year lease, with a plot ratio of 1.4 and a height limit of up to five storeys. The site can be redeveloped into a project of 21 units, each about 100 sq m, said Huttons Asia. An estimated $1.14 million development charge (DC) is payable to build up to the plot ratio of 1.4, and another $1.74 million for an additional 10 per cent of bonus balcony space. Including the DC, the land rate for the Jansen Mansion site works out to $996 per sq ft per plot ratio (psf ppr), or $974 psf ppr if the 10 per cent bonus balcony space is factored in. The Blossom Mansions sale attracted the backing of 90 per cent of the owners. Its reserve price of $32.8 million translates to $1,262 psf ppr based on the maximum gross floor area of 25,990.73 sq ft, with no DC payable, given its high development baseline. The 823.8 sq m site is zoned "residential/institution" and has a plot ratio of 2.8 and a height limit of eight storeys. A developer could redevelop the land up to 34 units averaging about 70 sq m each. Market watchers noted that collective sale tenders have been closing without success or even without bidders lately, as many developers have replenished their land banks for the next two to three years. There have been 30 or so collective sale tenders that failed to find buyers since the start of the year. Colliers International Singapore research head Tricia Song said the market has become saturated, adding: "It is not about pricing or size or location, it is just the sheer volume of choices available. "Most developers in general have replenished their land banks and are now in a position to wait or pick and choose." Savills Singapore senior director Alan Cheong said: "Their immediate task now has shifted from buying land to substantially clearing the units from the new developments on the site." 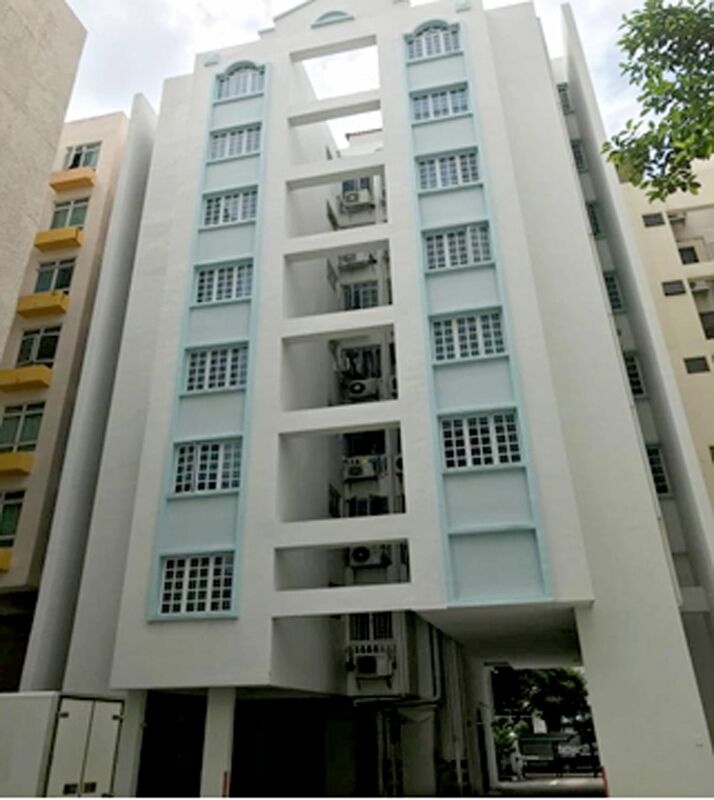 On Monday, St Thomas Lodge, a five-unit development in prime District 9 held under single ownership, was launched for sale under an expression of interest exercise by Singapore Realtors. Its indicative price of $40 million reflects a land rate of $2,293 psf ppr, inclusive of a DC to intensify the 664.4 sq m site. The land has a gross plot ratio of 2.8. The tender for Blossom Mansions closes on July 31, and that for Jansen Mansion on Aug 2.